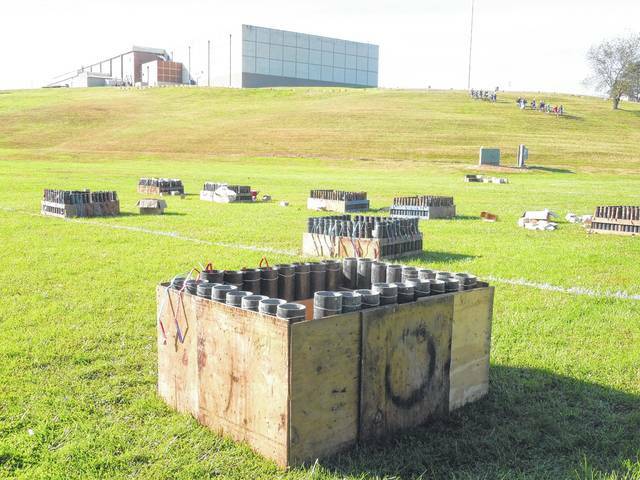 Legendary Entertainment has brought booms and bangs to Rockets over Rio for the last nine years. Here is the 16-inch shell set to blow during Rockets over Rio next to a an 8-inch shell. Firework shells are often packaged in paper wrapping to protect their interiors during transport. RIO GRANDE — Rockets over Rio once gain returns to Rio Grande, Oct. 13, with launch at 9:30 p.m., the same weekend as Bob Evans Farm Festival. 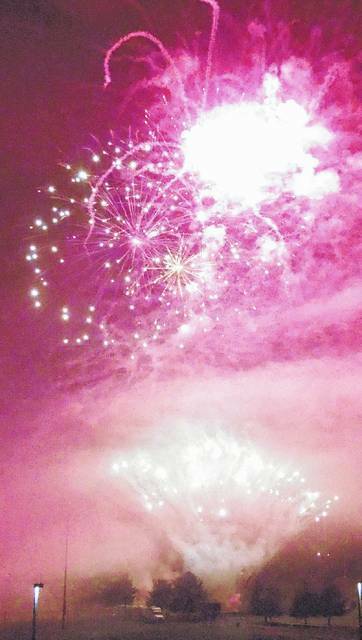 According to Rio Grande Mayor Matt Easter, the fireworks display is in its ninth year as a strictly donation-funded event hosted by the Village of Rio Grande. Launch will take place near the Stanley Evans Athletics and Recreation Field on the campus of the University of Rio Grande and Rio Grande Community College. The event is free and open to the public. 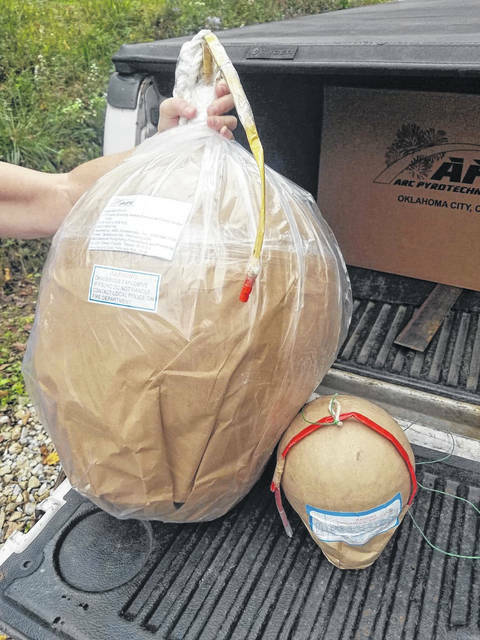 According to fireworks launching company Legendary Entertainment owner Steve Kaiser, the launch of a 16-inch shell is not frequently done. The shell is anticipated to climb to 2000 feet in the air before detonating in its entirety, said Easter. Crews have to dig a hole in the ground for the launching tube as part of proper protocol and utilized a backhoe. Over the last nine years, said Easter, the donations of Rockets over Rio has grown from $3,000 in its initial donation year to $12,000 in donations for this year’s launch. The show is timed with music, much of it traditionally rock and roll mixed with other popular genres. However, this year, one might hear Christmas music during the event. The Rio Grande Fire Department is anticipated to sell snacks and potentially hot chocolate during the event and a lucky ticket drawer will be able to view the fireworks from the top of the department’s ladder truck.